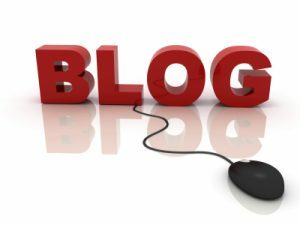 There are many benefits to starting a blog. You may be doing this to build a readership and customer base, or you may want to work on your marketing tools for your business. It may be a great way to keep your website content fresh and trending. If you are thinking about starting a blog on your WordPress site or if you just want to start a blog in general, here are five steps you can take. If you already have a WordPress site, then you will just need to turn on the blogging feature. The blog posts are created under the posts in the menu. They are easy to access. You may want to add the blog option to your menu and header. If you are starting the blog and do not have an existing website, you will need to choose a name, and either decide to host on WordPress, or to register a URL, and then find a site to host the blog. Once you have completed these steps, you are ready to start building your blog. It is important to have a general idea of what you want to post about before you start. If you want to write a lifestyle blog, then you will have posts related to that. If you are blogging for your retail business or for a service industry, then your blog posts will focus on those businesses. This clear direction will help you over all. There are many reasons why planning your content can be beneficial. It allows you to cover a lot of different things all at once and it makes creating the content easier since you have a plan in place and do not need to spend time brainstorming a topic. The planning allows you to plan to include specific keywords in your content. It will also allow you to determine the schedule. It helps to post on a regular basis. It helps to have several posts ready to go before you publish your blog. This will give your potential readers a chance to browse and more motivation for them to keep coming back, especially if they like what they see on the blog. You can determine how many blog posts you want to have online before you launch and begin advertising or reaching out on social media. If you want your blog to be successful, it is important to start marketing it. You can do this through social media and by finding a network of similar blogs that you can participate in. Often these networks will do things to promote each other posts and create more followers for everyone involved. You will need to consider ads on social media and look at ways that you can share the information and hopefully have people click through to read the content that you have created. How Much Does It Cost to Build a Site on WordPress? 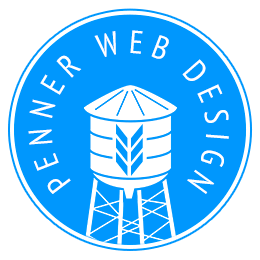 pennerwebdesign on How Much Does It Cost to Build a Site on WordPress?